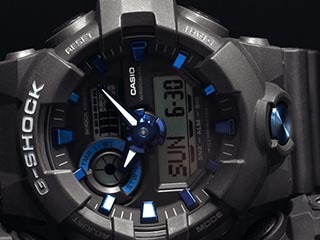 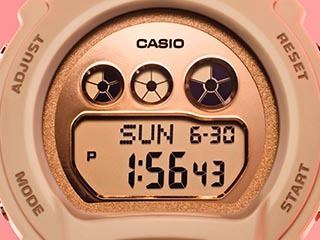 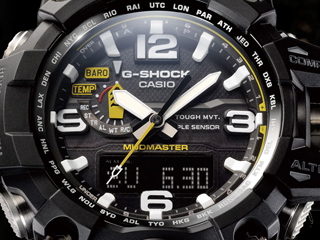 The MT-G, Metal Twisted G-Shock, is a completely refined G-SHOCK series crafted at Casio's Yamagata factory in Japan for select premium styles. 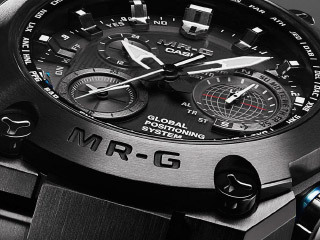 Meticulously assembled from materials and components made entirely in-house, the elegance of a luxury timepiece is combined with a rugged performance chronograph to take you across oceans and continents. 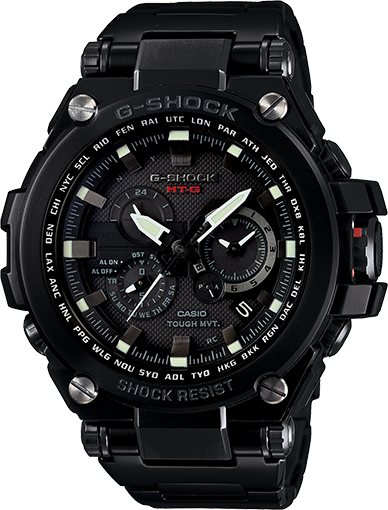 The black ion plated stainless steel covering of the MT-G employs G-SHOCK's advanced Core Guard Structure of black ion plated stainless steel, resin and alpha Gel® to ensure mechanical integrity, coupled with LED-infused Tough Movement for ongoing precision. 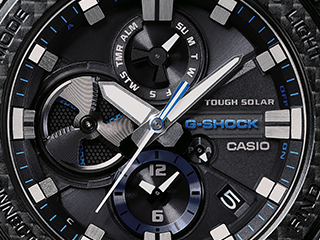 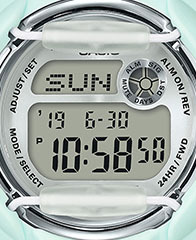 Multi-Band 6 atomic timekeeping ensures accuracy through radio-controlled time/date updates from global transmitting stations, along with Triple G Resist for shock, gravitational drop and centrifugal force resistance. 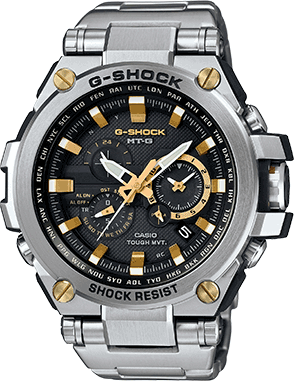 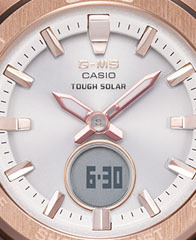 The MT-G is the epitome of modern wrist couture. 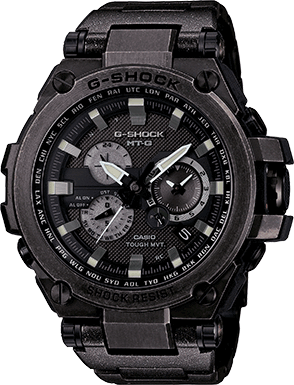 Black ion plated stainless steel analog watch with a black face.